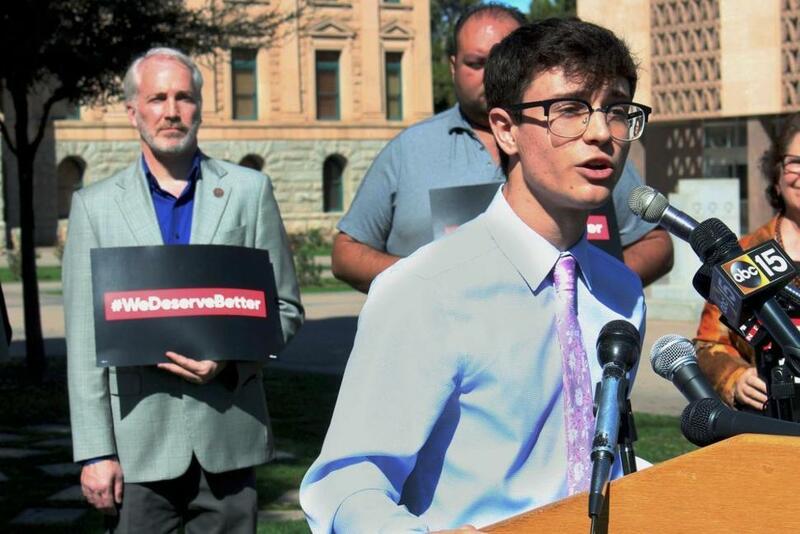 High school junior Jordan Harb, of Mesa, Ariz., speaks during a news conference at the state Capitol in Phoenix, Monday, March 12, 2018. Jordan Harb, a high school student from Mesa and an organizer of a planned March 24 "March for Our Lives" student rally in Phoenix, said the protest is in response to the Feb. 14 school shooting in Florida that killed 17. 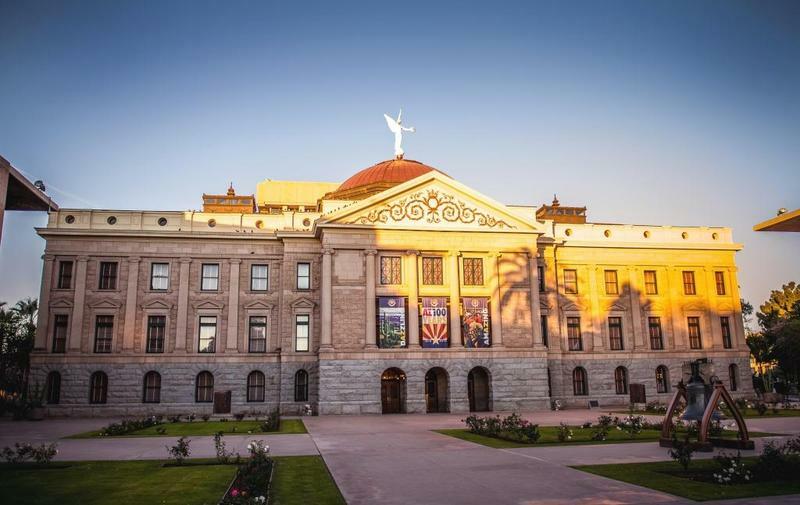 "Our state Legislature has time and time again failed to heed our words and live up to protecting the 1 million students here in Arizona," he said. "Today, nearly 4 weeks after the Parkland shooting our legislators and the governor need to know that we will no longer be ignored." He described a lockdown at his school three years ago. "Luckily it was just a false alarm," Harb said. "But for 200 schools since it has been a terrifying reality." Harb also said students at many high schools plan to walk out Wednesday and have 17 minutes of silence in memory of the Florida school shooting victims, 14 of whom were students. Another visit to the capitol is also planned, he said. "Whether they want to or not, we will be there and we will make sure that they see us," Harb said. Four Democratic-sponsored gun bills haven't received committee hearings during this year's session. 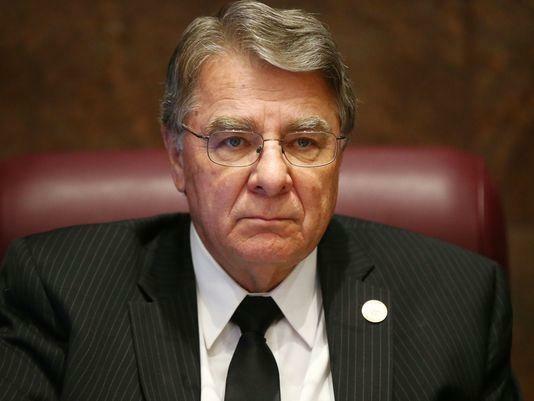 The proposals include one mandating universal background checks for all gun purchases, a ban on bump stock devices and proposals to remove guns from domestic violence offenders and the mentally ill.
State Sen. Sonny Borrelli, a Lake Havasu City Republican, said he was opposed to any gun proposals until courts report all felonies to databases for background checks. "Make the system that we already have work," Borrelli said. "And if that's not working then let's have a conversation on what else. I have a huge problem of undermining (the) Second Amendment, undermining their Constitutional rights." Republican Gov. Doug Ducey has said he is working on school safety proposals but has not sought action on the stalled bills. He said at a media availability Monday that the proposal will include a focus on background checks, but he appeared opposed to closing a loophole that allows private sales at gun shows and in person without such a check. That would be consistent with legislation he signed in 2016 and 2017 barring state and local governments from requiring checks on private transactions. Instead, he implied he's focused on ensuring that local convictions make their way into state and federal crime databases, a matter brought up by Pima County Attorney Barbara Lawall during a meeting between the governor and prosecutors last week. "We're taking a look at background checks and how they're populated and how they're constructed," Ducey said. "And how much of the information that's happened at the city and county level has moved into the state level." LaWall said in a Friday interview that prosecutors brought up a backlog of convictions that need to be entered into a state database of people barred from possessing guns that is shared with the federal government during firearms purchase background checks. The database is only about 70 percent complete. A state commission has a plan to sharply cut that backlog at a cost of about $40,000 per county. Ducey dodged other questions about the stalled legislation, including one on the mental health and domestic violence bills. Instead, he said he'd roll out the proposal when it is ready. "Our focus is on school safety and how we make our schools safer," he said. "I'm looking to keep all the guns out of the hands of the individuals that should not have them." Democratic Rep. Randy Friese, a Tucson trauma surgeon who was on duty when former U.S. Rep. Gabby Giffords and 18 others were shot in 2011, said the students organizing the march in Arizona and across the nation "are showing more leadership on this issue than our state has shown in decades. 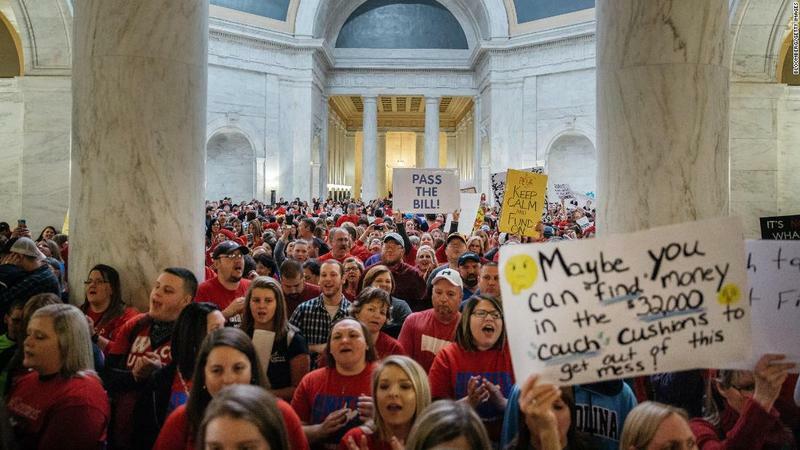 "For many, many decades our state has chosen to go in the wrong direction, moving away from legislation that supports gun safety and responsible gun ownership," Friese said. "The time has come for us to change direction." Navajo Nation officials are pressing the Arizona legislature to take steps to prevent the Navajo Generating Station from closing next year.  KNAU’s Ryan Heinsius reports, lawmakers are considering legislation that would do away with a tax on coal in hopes of attracting potential buyers.